When a person has a missing tooth or one that’s beyond salvageable, replacing it with a dental implant is the next best choice. Implants mimic the design and function of anatomical teeth, setting directly into the bone the way a natural tooth would. On top of the implant rests the permanent restoration, such as a porcelain crown — or if multiple teeth are involved — a dental bridge. Your new implant is just as strong, if not more so than a natural healthy tooth. 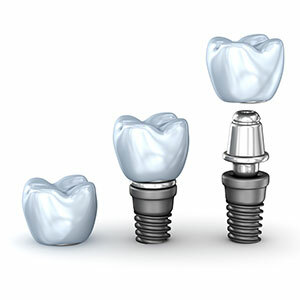 Getting dental implants usually requires 2-3 appointments to put the final crown. Having an implant installed only requires a normal amount of local numbing and local anaesthetic, while sedation is also available. After the implant is installed, a provisional tooth can be provided while the surgical site heals. The implant should be fully integrated with the bone and ready to receive the permanent porcelain restoration. As a patient, getting dental implants should be quite comfortable. It is important that the patient has a healthy mouth (no existing gum problems or tobacco use) and be at least 16 years of age. Because missing teeth can cause problems like the neighbouring or opposing teeth growing and leaning into that space, it often leads to changes in the bite or jaw joint (leading to additional issues like headaches or neck pain). Preserving the area by placing an implant helps to maintain natural spacing and biting patterns. To ensure your comfort and reduce anxiety during your implant procedure, we offer in-house IV sedation upon request. Although local anaesthesia and inhalation sedation (nitrous oxide) is also effective, some of our patients prefer to “tune out” everything around them during more complex procedures such as oral surgery. Like natural teeth, your new dental implants require daily maintenance to keep them healthy and stable. We recommend brushing and flossing them the same as you would your other teeth, along with scheduling a routine check and clean at least every six months. Considering dental implants? Ready to learn more? 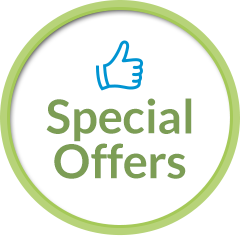 Book a free 10-minute consultation today (radiographs not included).